The Aurora Centre in Wellington has joined an exclusive club - it’s one of the most energy-smart commercial buildings in the country. 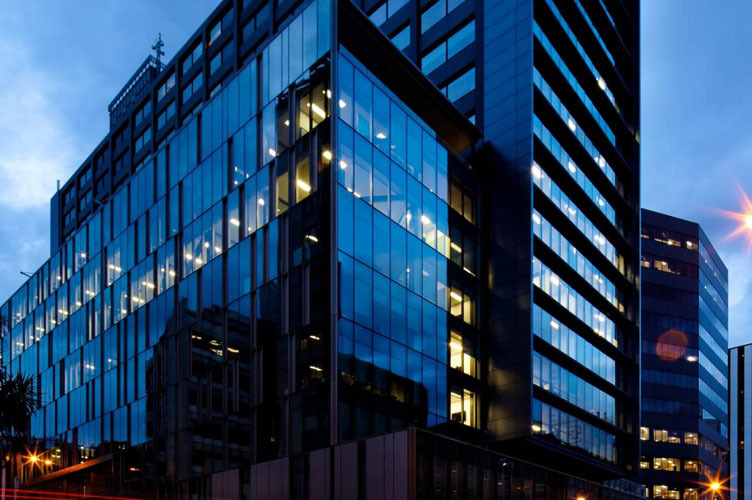 The Aurora Centre in Wellington has joined an exclusive club – it’s one of the most energy-smart commercial buildings in the country. Owned by retail and office building owner Kiwi Property, it has 5.5 NABERSNZ energy efficiency rating. The building occupied by the Ministry of Social Development has recently earned the 5.5 score after a large construction and refurbishment project. The other two buildings are Aorangi House in Wellington and IAG building in Christchurch. The only higher scoring building for energy efficiency in New Zealand is 33 Customhouse Quay in Wellington, owned by Stride Property, which has a 6 rating. The Aurora Centre rating is for the base building which includes the common areas, the lifts, the air-conditioning and small power loads of the tenant. Kiwi Property national facilities manager Jason Happy said the NABERSNZ rating validated the company’s investment and work in upgrading and refurbishing The Aurora Centre which started in 2016. The NABERSNZ rating tool has scores from zero to 6, with zero very poor performance to 4 which is excellent, 5 market-leading and 6 is aspirational. The $72 million construction project joined the former Unisys House and Aurora Chambers to form a larger cohesive office space comprising 24,276 square metres.